Is Shanghai Really Removing Pinyin from Street Signs? A tale about a beautiful woman who took some drugs that didn't belong to her, and now we all eat mooncakes. 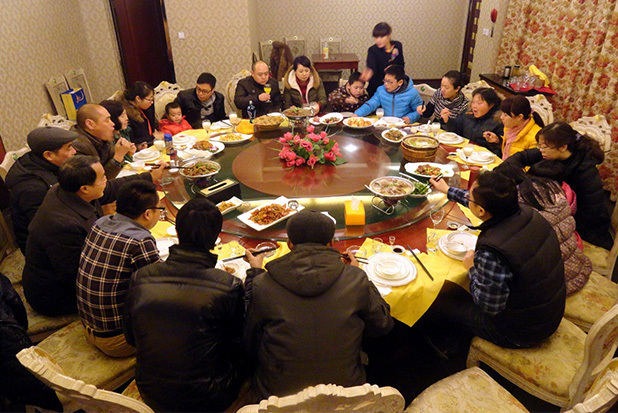 "The FAQ" deals with vexing questions about living in China that we don't get to with out other articles and columns. So... mainly all the stuff that doesn't involve where to eat some dinner or get drunk. Okay. So. In Chinese mythology, there once was an archer named Houyi, who was kind of a big deal. Legend has it that on one occasion, he was given an immortality drug by the Queen of Heaven as a reward for taking care of a little global warming problem they were having at the time. For some reason, however -- some mystical reason -- he didn't take the immortality drug immediately. Instead, he let his beloved and attractive wife Chang'e guard the drug, while he himself went out hunting and having fun. Now, there are two directions the story goes from here. If you're a Disney fan, you would probably prefer this one: Okay. So. Said immortality drug was only good for one dose and Houyi didn't want to take it alone. At the same time, news of the wondrous drug traveled far and wide, and it led to a burglary attempt, which then ended up putting Chang'e in the awkward position where she had to take the drug in order to protect it. (We're speeding through some things here.) So Chang'e takes the drug, it starts to kick in, and she starts floooooaaaating up to the sky. She becomes an immortal goddess and settles down on the moon (because it's the furthermost place our ancestor could think of, probably). After this, every year, when the moon is shiny and chrome in color, Houyi would sit under it and worship his beautiful wife. His neighbors started to do the same as well, and thus we have the Moon Festival. A story of romance, immortality, and a love divided. If you're into a darker twist: In this version, Chang'e is a harsh mistress, just harshing everyone's buzz. She steals the drug from her trusting husband and leaves him for good. She still ends up an immortal goddess and floats up to the moon. Also, she has to hang out with a rabbit for the rest of her life. Maybe just stick with the first version. How do people celebrate Mid-Autumn festival? Similar to what Chinese do for other festivals -- by copiously displaying fruit and pastries. And, of course, we won't let good food go to waste, so said fruit and pastries are summarily consumed by family and friends. 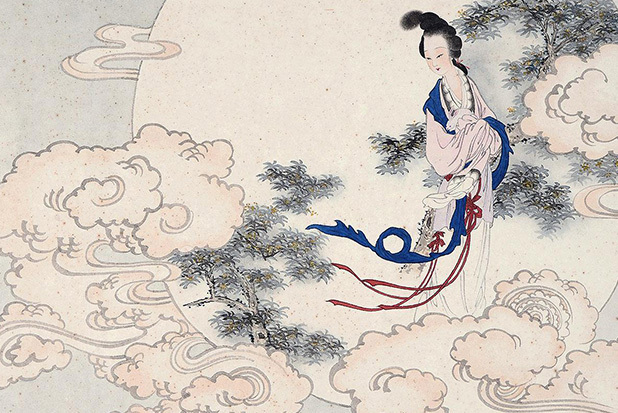 The moon looks spectacularly big and round (yuan, ‘圆’) on Mid-Autumn day (usually at the end of September), so it's not only good for observing but also symbolizes a family reunion (tuan yuan, '团圆'). It an important day for family members to gather together and eat round pastries, like mooncakes. What are mooncakes and why are people so crazy about them? 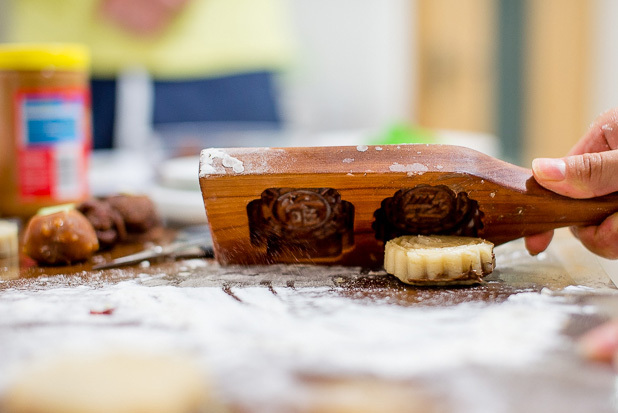 Throughout the centuries, Chinese have created numerous mooncake recipes, and they vary in size, filling, and baking technique across different regions. In Shanghai, our specialty is Su-style mooncake -- the one that people always queue up in line for. They have crumbly, dry skin and are usually filled with pork or sweetened red bean paste. Another type of mooncake you often see, sold at hotels, restaurants, and F&B chains like Starbucks and Häagen-Dazs, are Guang-style mooncakes. These often come with fancy (over the top) packaging, which is meant to symbolize wealth and your expensive tastes. Different colors of thin skin wrap around big chunks of filling. They usually have a longer shelf-life as well. So, the mooncakes business is pretty crazy these days. This year's most expensive mooncake costs 238rmb for one, and is "exclusive customized" by a Shanghainese media veteran and author. Häagen-Dazs has been making expensive ice-cream mooncakes for some time now, but this year they have a special one priced at 888rmb for seven. The sales gimmick is most welcome in the world of mooncakes. 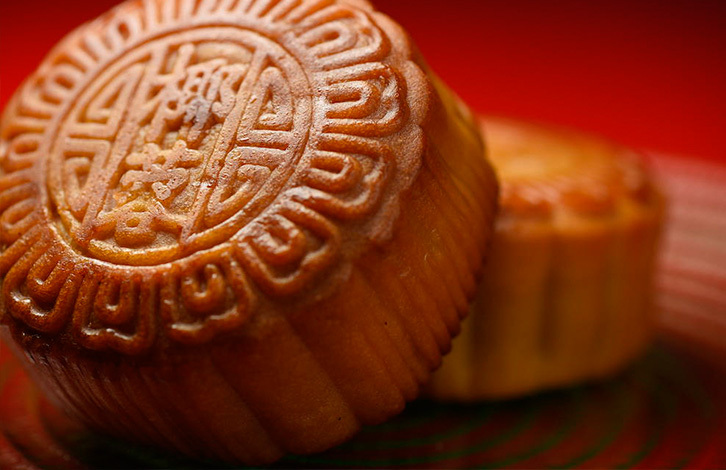 People love to give out fancy or novelty mooncakes as gifts, and love to receive them as well -- even though a lot of us are not very much into the flavor of them at all. Despite the fact that Mid-Autumn isn't even among the most important festivals in Chinese culture -- it probably has the same ranking as your run-of-the-mill Dragon Boat Festival -- the sale and purchase of mooncakes is big business, with a lot of people looking at their wallets and bottom lines more so than the big, round, beautiful moon up in the sky.